Psst! Wanna rent a phonebox? I was strolling by two olden style red phoneboxes in Liverpool, just outside Lime Street station, the main railway hub of our fair city. Well, if you are a phonebox anorak, they were both a dilapidated example of Sir Giles Gilbert Scott’s ‘Kiosk Number 6’ design from the mid 1930s. Being old, even though they are crap and pointless in 2015, they have one of those local authority ‘list’ things written about them that stops old and crap things from being dug up and smashed to bits, but instead to be forced to stay there forever. Usually this happens because a tiny group of busybodies decide to inflict it on the rest of us who would much prefer to move on without old crap things cluttering the pavement. The net result is that these old and in a state of disrepair and vandalism red phoneboxes just stand there. Forever. By order. One has a phone inside, although it does look a bit vandalised, and certainly standing in the lake of urine and discarded drug paraphernalia in order to try to use the phone probably isn’t too inviting, especially when everybody has a mobile phone these days anyway. Phoneboxes are normally only used in Liverpool to order supplies of skunk at midnight after dole money has been drawn out of the ATMs. Anyway, the adjacent phonebox is empty. Well, empty apart from the urine and discarded drug paraphernalia. Intriguingly, it has an advert on the outside saying it is available to be rented from its new owners, who are not BT, and used as a ‘retail opportunity’. I took a pic of the ‘notice’ on the outside to prove I wasn’t suffering from some form of delusional outburst. Now, a phonebox has just enough room inside to stand-up straight, let alone put any equipment in. Even using one as a urinal, one can’t step away enough to avoid splash-back. Yet, they are suggesting a ‘shoe shine’ business? What? Or selling ice creams from them. Er. Where does one store the ice creams? 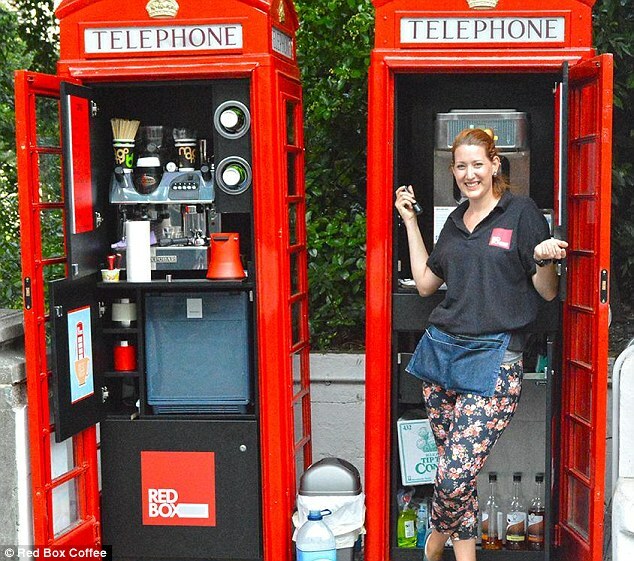 I’m guessing that the phoneboxes in London, where property prices are impossible to pay for the ordinary person, could be converted into one bedroomed apartments. No doubt a rent of hundreds of Pounds a week could be charged. Sorry. The only thing I can think of is a 24 hour urinal, since that’s what there are already.